There are 27,000,000 people trapped in slavery around the world today. I am NOT okay with that. Today, February 25th, is “Shine A Light On Slavery Day”. 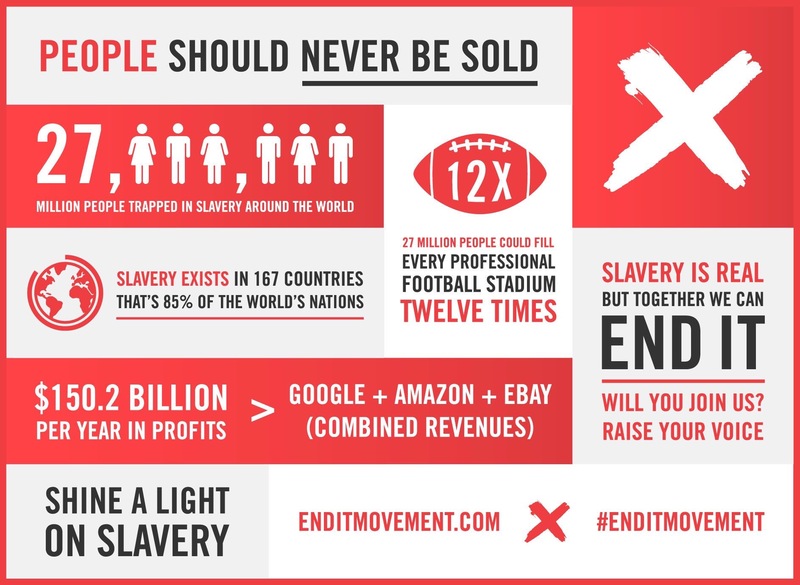 Take a look at the graphic below … Click on a few links … Become more aware … Let your voice be heard … “Shine a light on slavery”. We must make others aware.